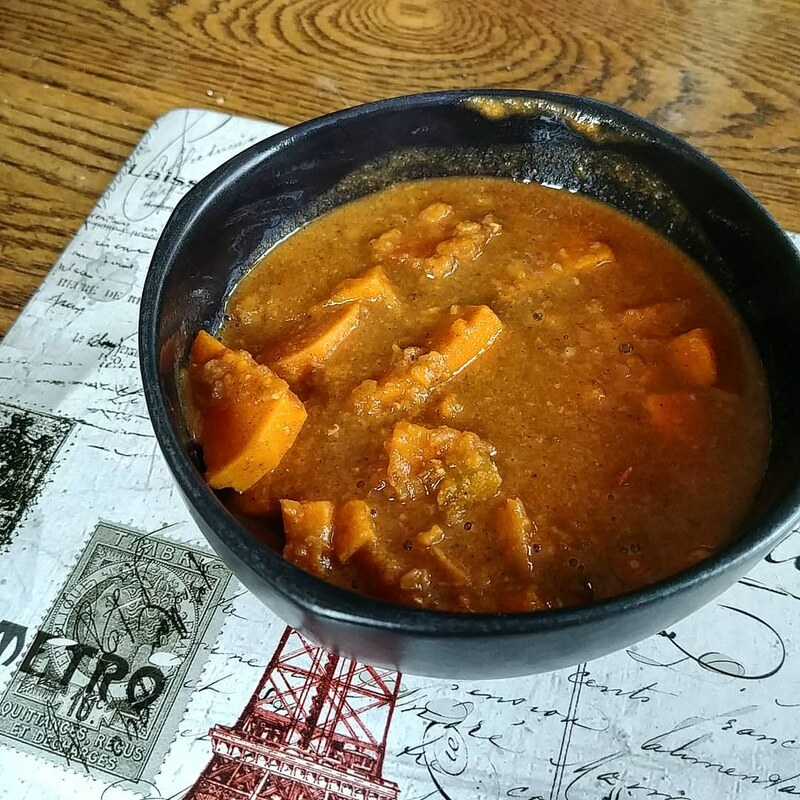 Sweet Potato Peanut Curry with Red Lentils | What Smells So Good? In a large heavy based pot melt the coconut and sesame oils together. Add the celery and spring onion and cook 5 minutes, until celery has softened. Add the cumin, turmeric, paprika, garam masala and cayenne and cook for another minute, until fragrant. Add the sweet potato and stir well to coat. Add the lentils, stock and tomatoes and bring to the boil. Turn down to a simmer and cook for 20 minutes, stirring occasionally, until sweet potatoes are tender. Add the peanut butter and stir well. Simmer for 5 minutes. Mix in the peanuts and serve.